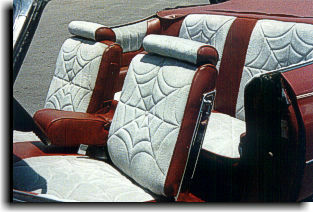 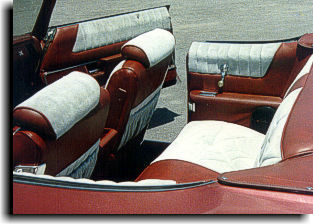 The interior of this Buick was constructed using a silver velour and a maroon vinyl with maroon cut-pile carpeting. 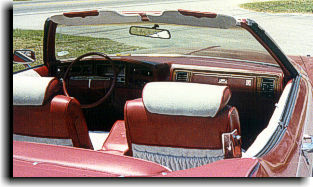 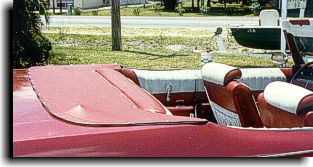 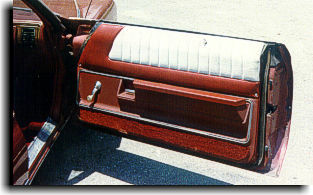 Catalina Custom also built the convertible top boot. 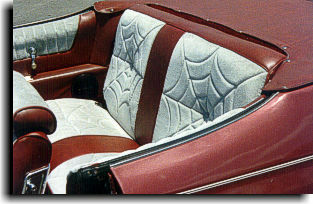 With the nice color combinations and the spider-web design, this was a fun interior to build.